About three weeks ago I picked up a Philips AG 9014 Valve Amplifier. I bought it for 20 euros in a local flea market here in Dublin. 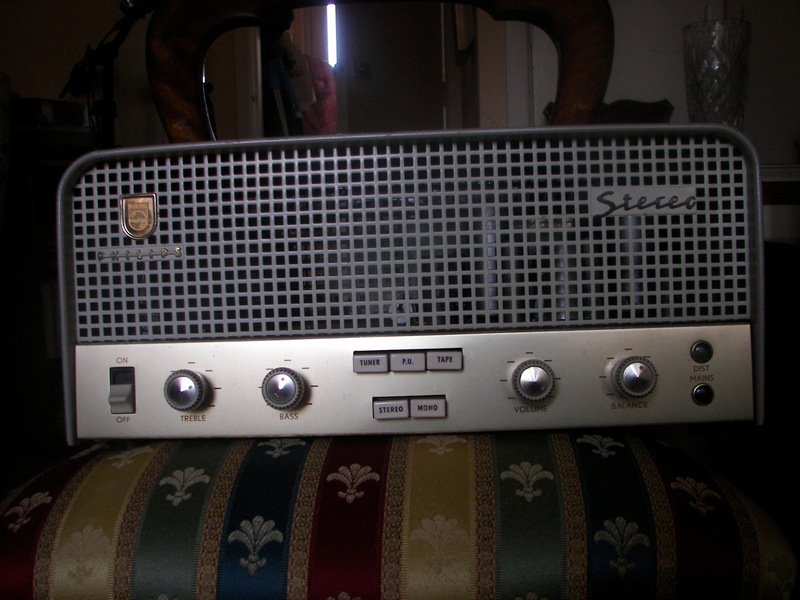 When I got it home I hooked it up to a couple of Warfdale speaker and it worked but only just as there was a lot of crackle and distortion and various other noises. I left it in for a complete service with The HiFi Hospital and got it back a couple of weeks later after handing out 230 euros…………but I have not been able to play it yet as it requires 800 ohm speakers. They told me in the HiFi Hospital that it was a good quality machine – they actually described it as ” a beautiful piece of equipment” so I’m happy………..but its a drag to have to wait until I can pick up some 800 ohm speakers. …………. am I right or am I right ?